For those who live in Switzerland (or not to far away) we will be presenting our work in the WOT at the University of Lugano on Thursday, March 26th. Besides the fact that Lugano is the sunniest place in Switzerland it is for us a pleasure to be invited by Prof. Pautasso. His work on REST architectures and especially on comparing and contrasting REST with WS-* (i.e. SOAP, WSDL, and the like) service has been quite inspiring for us. If I had to select one paper in this field it would certainly be that one: RESTful Web Services vs. Big Web Services: Making the Right Architectural Decision, a paper containing a lot of takeaways in terms of what type of architecture should be used for what purpose. Inspiring work since we are currently building a number of prototypes going towards end-user mashups based on real-world services: what if I could mashup a service offered by my plants with a service offered by my central heating so that the plants can decide on the adequate room temperature while I’m away? Anyway, in a word like in thousands we really are looking forward to meet Cesare, and we’ll update you on the outcome of the talk and the discussions! Next story LIFT workshop SOLD OUT! Previous story WOT is that? totally agree with Dom! I would also like to point out an awesome paper I’ve been reading from Cesare, BPEL for REST. I think it’s an awesome step toward the acceptance of REST an integral technology for building enterprise systems. Indeed, an orchestration language is missing for REST, and beyond simple mashups that are fun, people doubt about using only REST to implement their business processes. I will read his paper more in detail when I am back in my office (if that ever happens), and will blog about this issue soon. 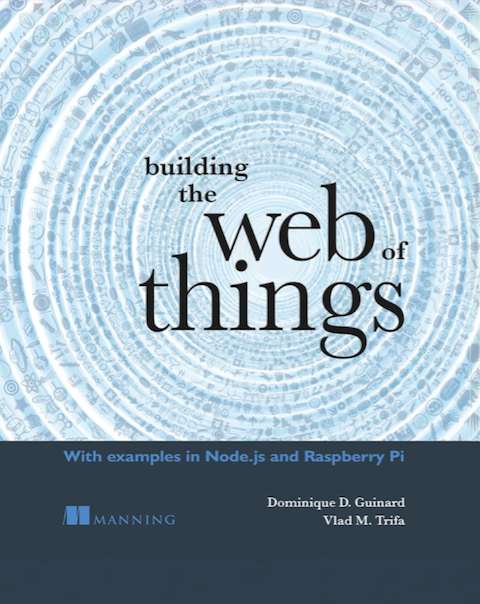 I think the acceptation of our work in the context computing will be an essential step towards the wide acceptance of Web to develop the Web of things.